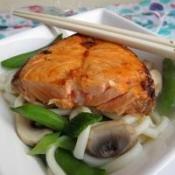 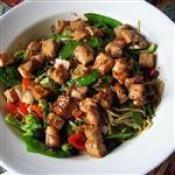 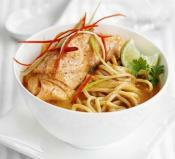 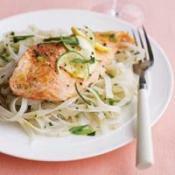 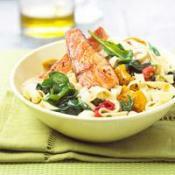 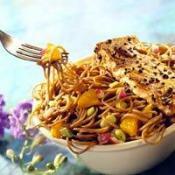 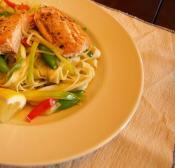 An authentically Asian dish, with flavoursome marinated salmon and noodles. 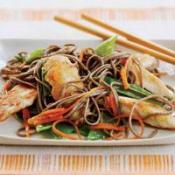 This Asian-flavored salad uses Japanese buckwheat noodles. 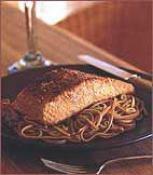 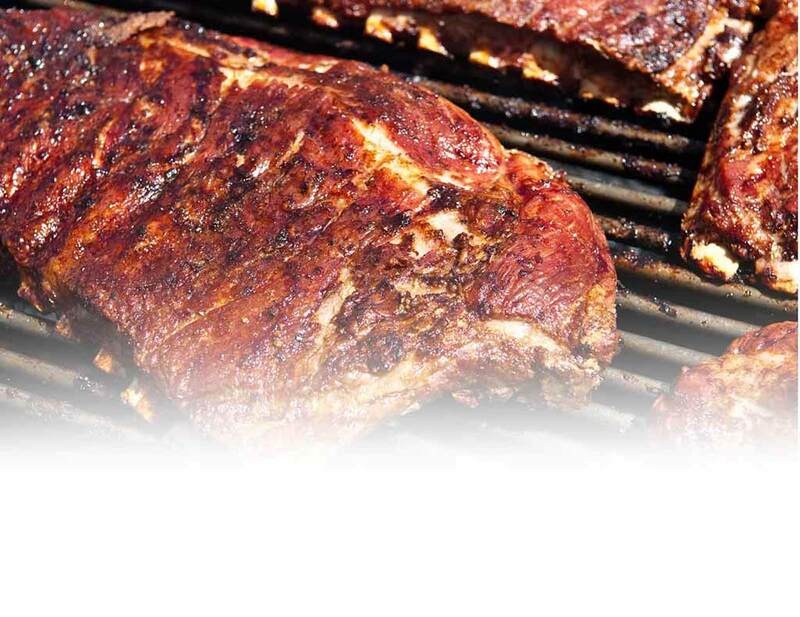 Marinade the salmon the night before for this simple, yet stunning meal.